Duplex Steel S32760 Flat Face Flanges Supplier in Algeria, DIN 1.4501 Forged Flanges in Ghana, Duplex Steel SORF Flanges Exporter in Africa. Sangeeta Metal is one of the leading Manufacturer, Supplier and Exporter of UNS NO S 32760 Flanges (also referred as WNR 1.4501 Flanges) that are actually manufactured from High Quality of Standard Raw Materials and are designed as per with national and international standards. Super Duplex Steel S32760 Flanges has excellent corrosion resistance in a wide variety of corrosive chemicals including seawater and industrial acids. 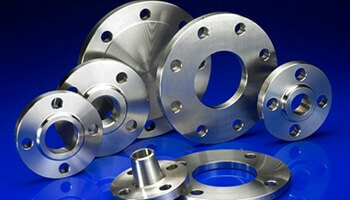 UNS S32760 Flanges also has excellent ductility and impact strength at both ambient and sub-zero temperatures. It as well has high resistance to abrasion, erosion and cavitation erosion. We offer these Super Duplex Steel products in custom-made shapes and sizes as per the requirements given by our clients, and that too at an affordable and market leading prices. ASTM A182 Duplex Steel UNS S32760 Orifice Flanges Dealer in South Africa, UNS S32760 Pipe Flanges in Ethiopia, Duplex Steel S32760 Screwed Flanges Manufacturer in India.